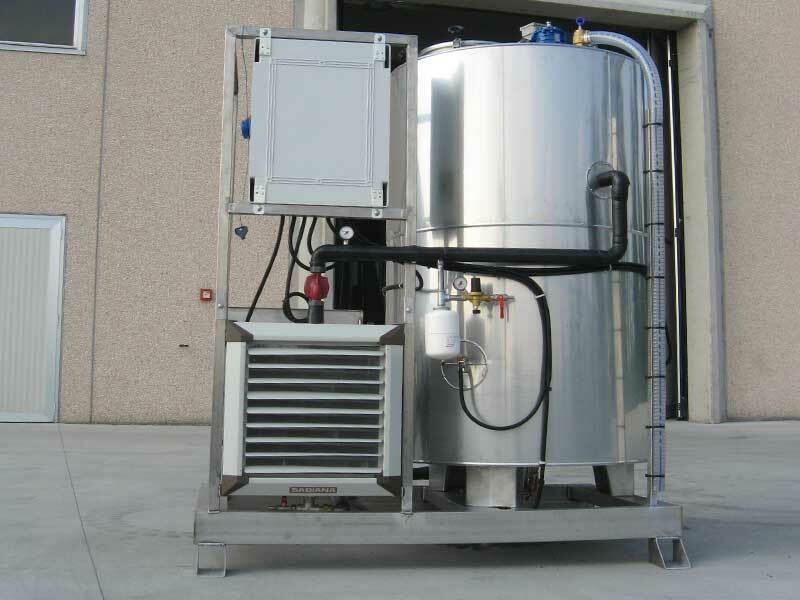 Machine designed for the pasteurization of all those products that need a heat treatment to eliminate or reduce the bacterial load present. 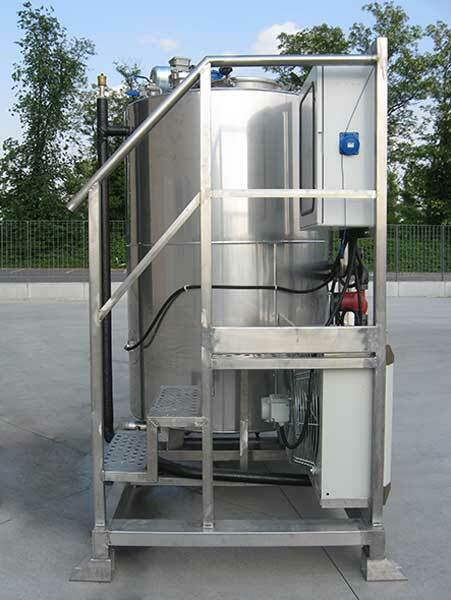 The products subjected to pasteurization maintain substantially unchanged their physical and organoleptic characteristics. 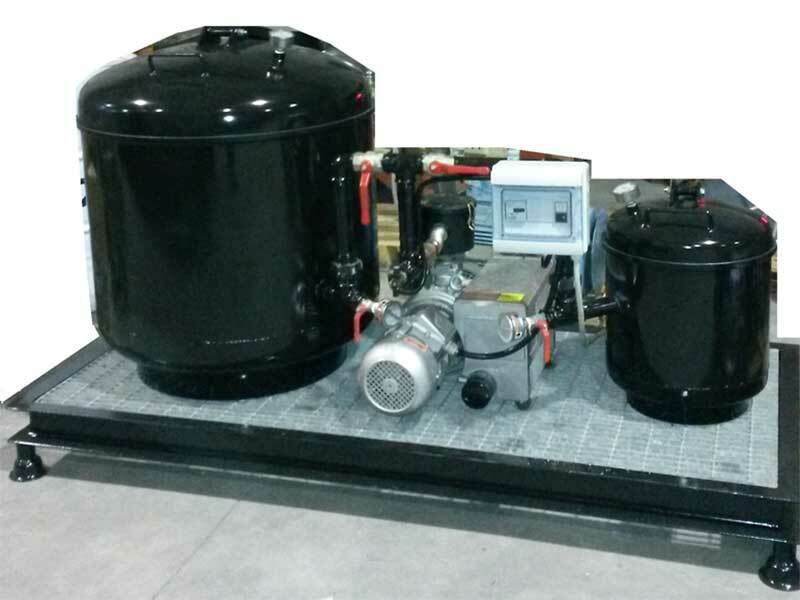 The machine is designed to carry out thermal treatments based on cycles of heating – cooling. 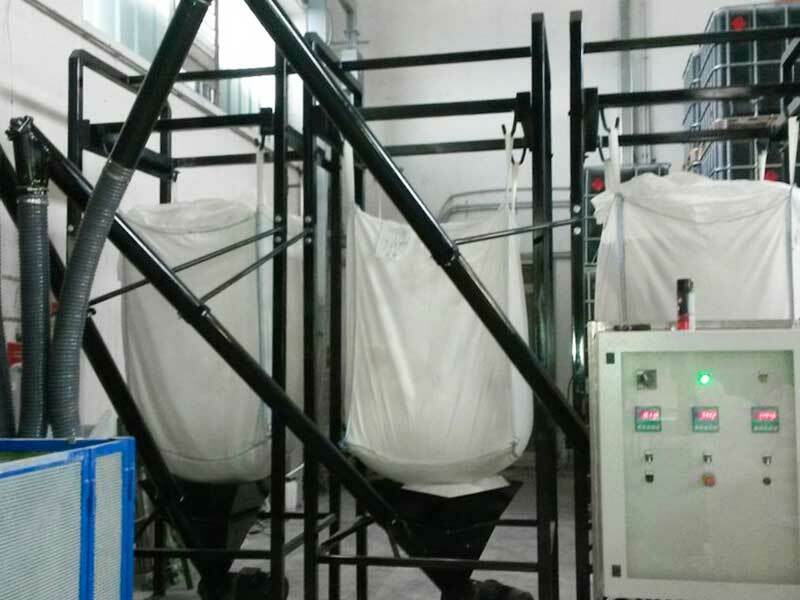 The choice of the temperature to be applied and the time of application depend on the nature of the product to be restored. 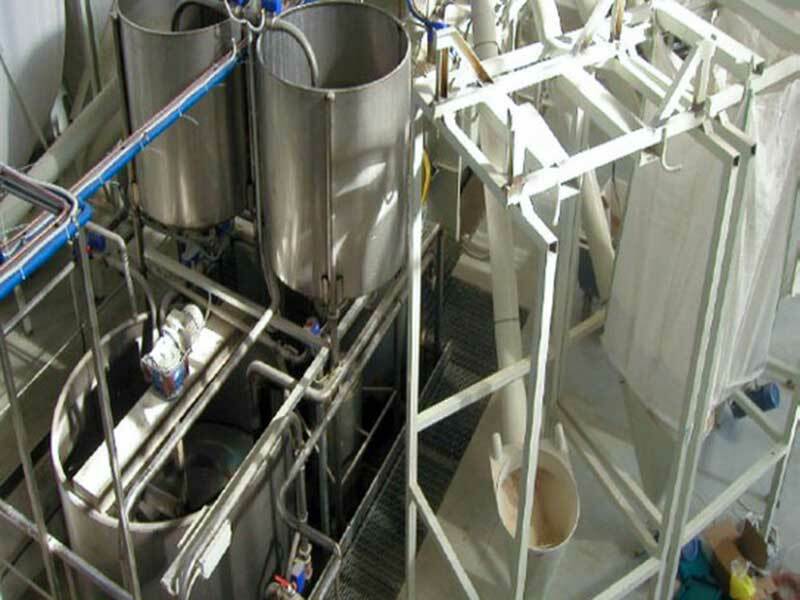 Heat treatment of supplements and bioactivators for feed production. Bioactivators heat treatment for purification. 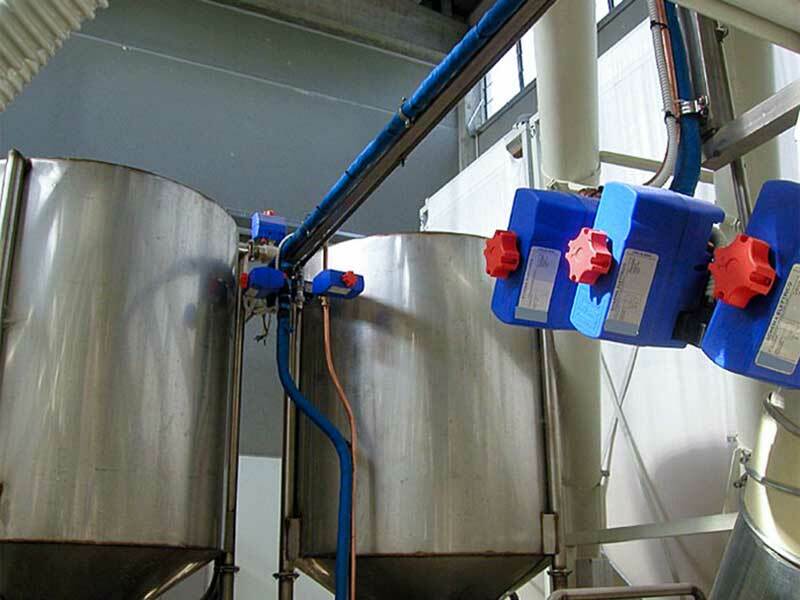 Heat treatment of ABPs (animal by-products) in accordance with Regulation (EC) No 1609/2009 and subsequent amendments and additions and Regulation (EU) No 294/2013. 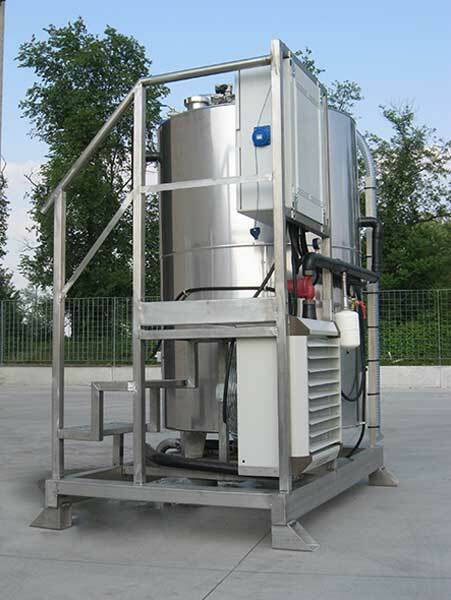 Heat treatment of slaughterhouse waste at 70°C for 1 hour, energy by-product used in biogas plants (SOA category 3). 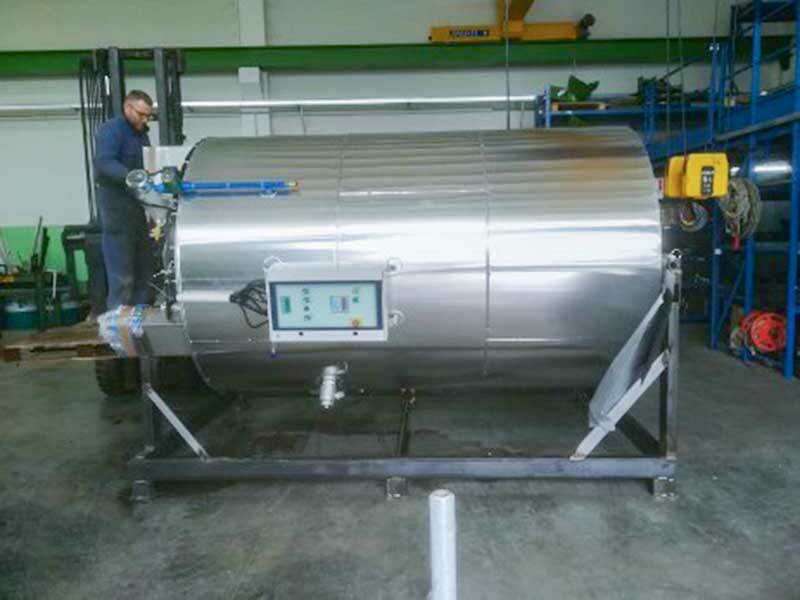 Hygienisation – sterilisation of slaughterhouse waste at 133°C – 3 bar for 20 minutes, energy by-product used in biogas plants (SOA category 2). 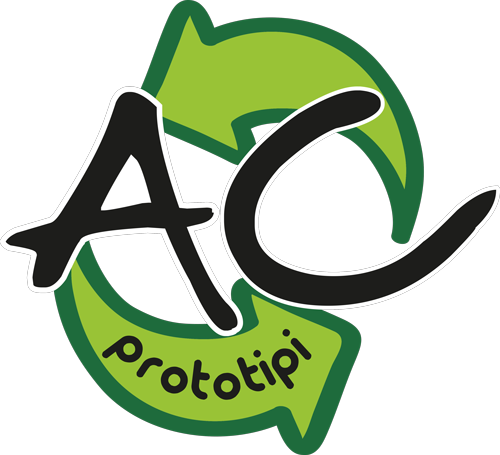 Due to the flexibility of the company, ad hoc adaptations and solutions are possible on request. 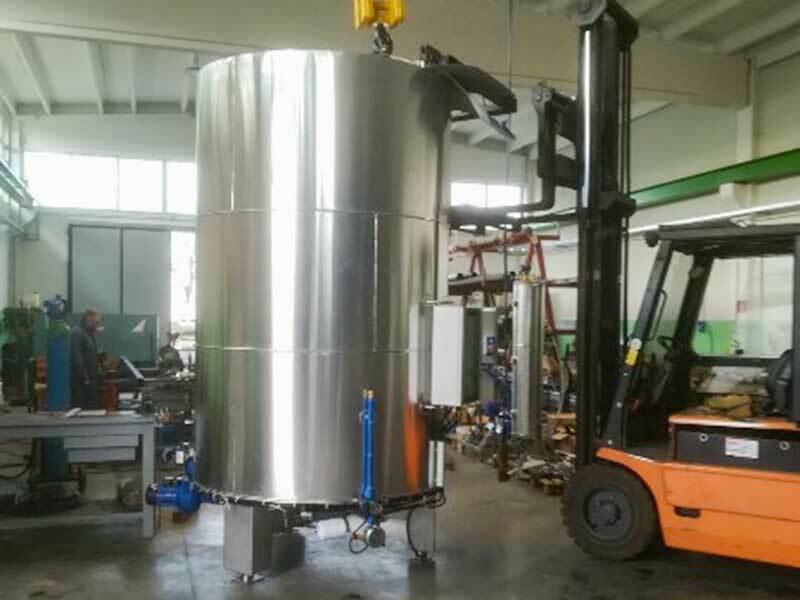 The design and construction of this machine are entirely the property of AC ENERGIA Srl. 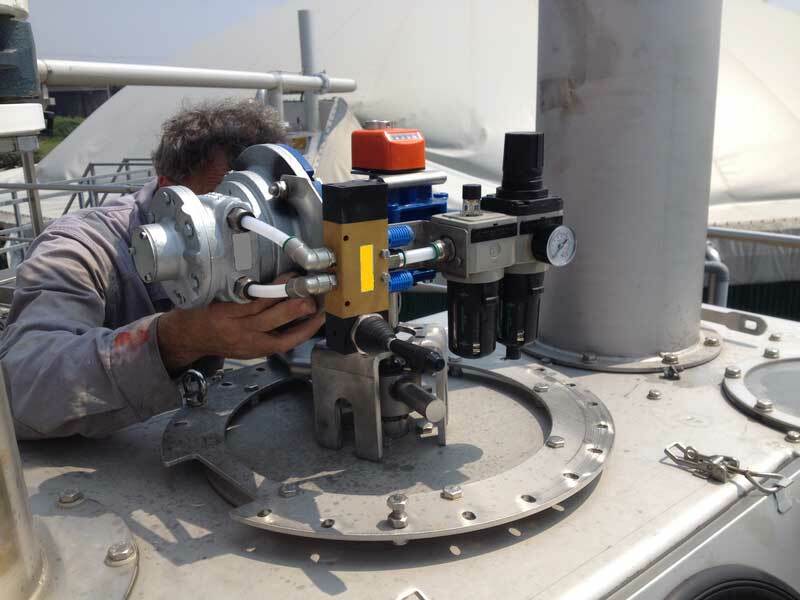 Our technical staff has a long experience in the design and construction of plants and machinery for the storage and dosing of oils and fats. 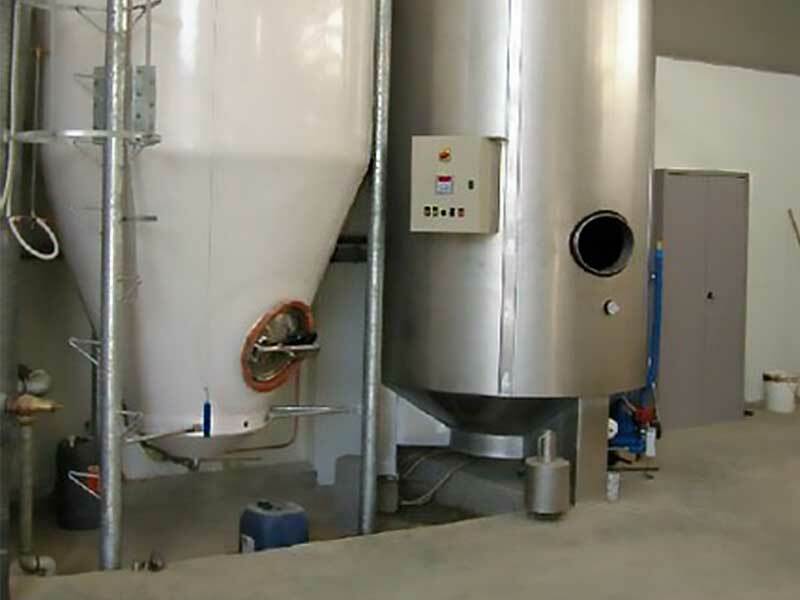 For the first time, in the zootechnical sector, we have created a tailor made type of tank, to integrate the pork feed with fats; this type of tank is still installed and working at a large number of farms. 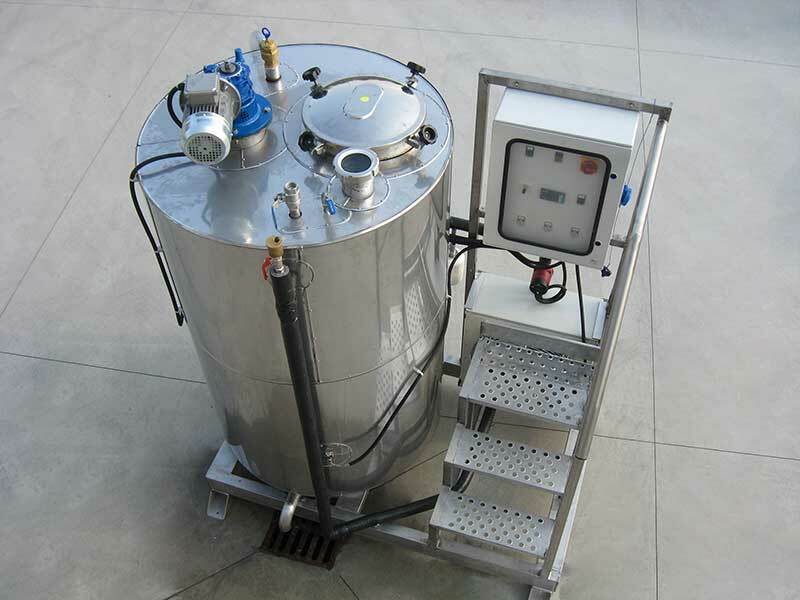 From the zootechnical experience and the constant commitment in the design, choice of materials and construction, a reliable and efficient product was born, which solves the main problem that fats present, that is the tendency to oxidize and to alter their composition with risks of high toxicity. 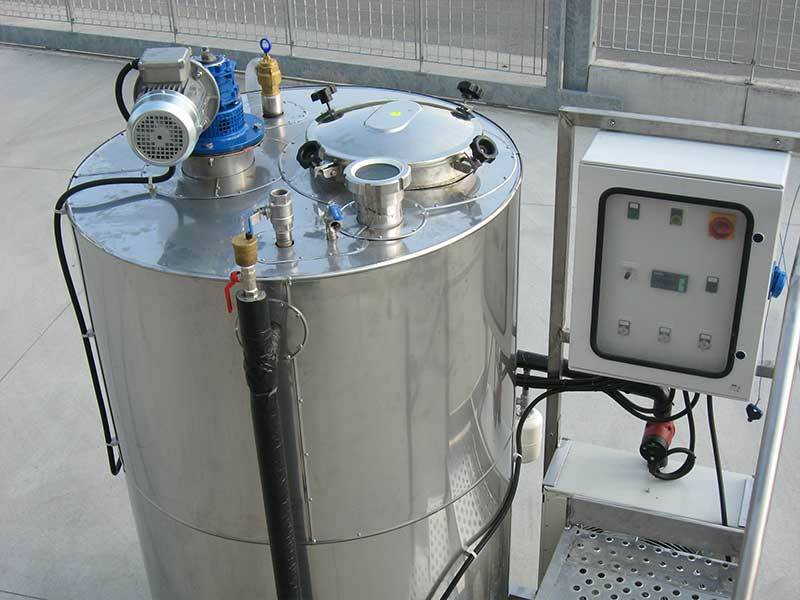 Storage and dosing plants for fats and oils for feeding and industrial working processes. 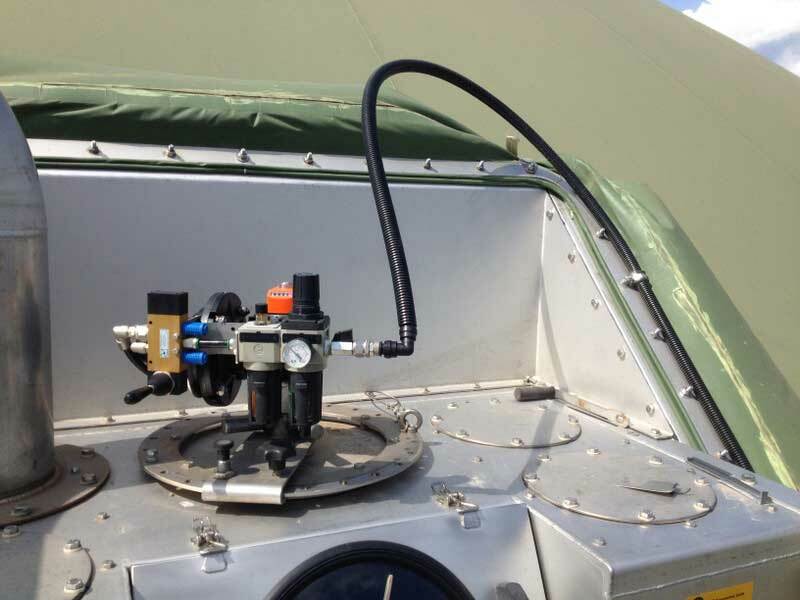 Heated containers for diesel engine oil. 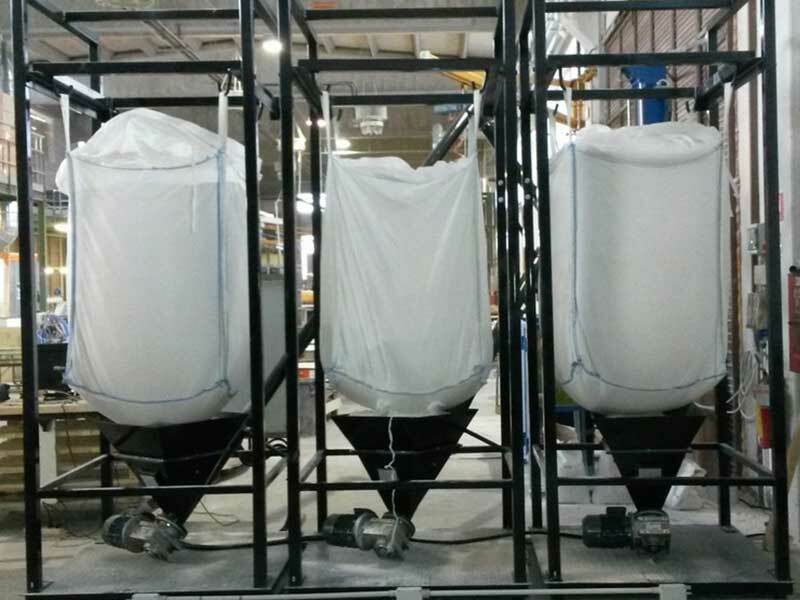 As part of the automation of our customers’ industrial processes, we have developed various fully automated powder dosing systems, managed by weighing the product and unloading by augers. 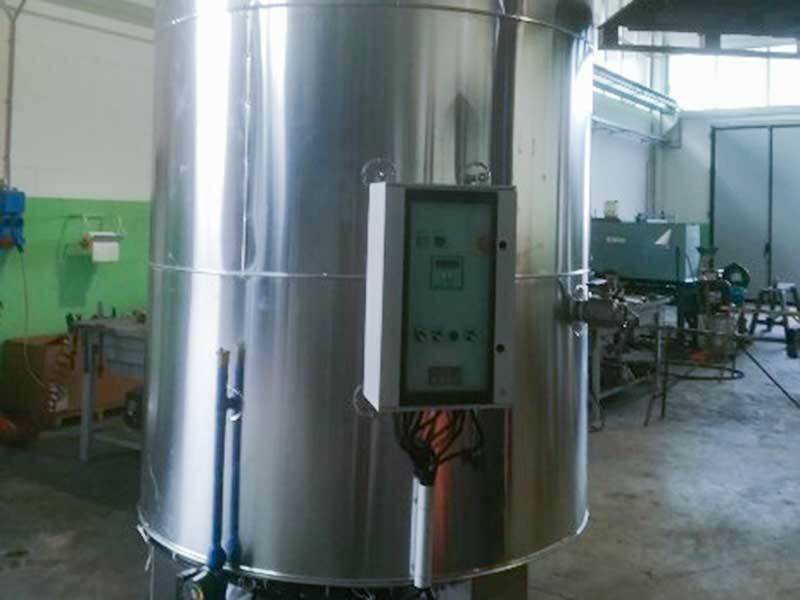 Machine realized for a customer in the chemical sector, in order to eliminate the air bubbles that remain captured inside a mixture of resins contained in a mixing tank. 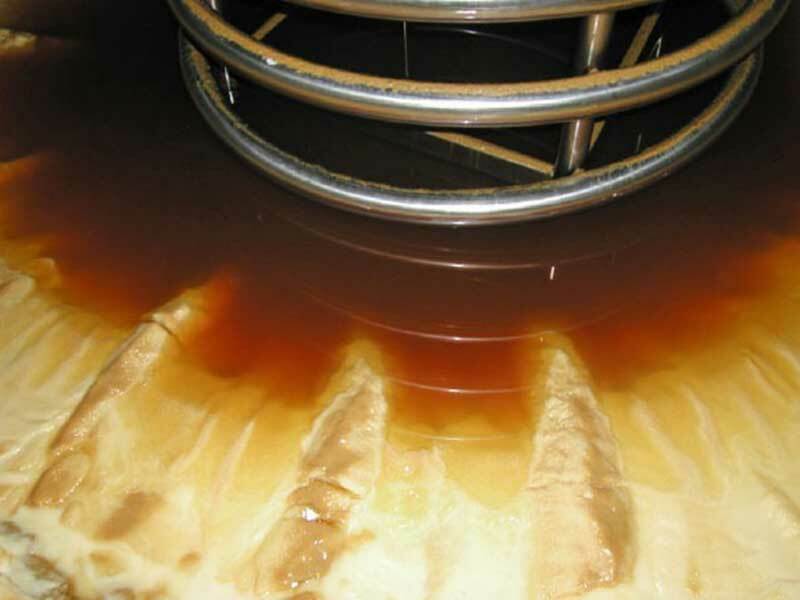 Our equipment creates a depression that allows extracting only the air bubbles, making perfectly homogeneous the mix of resins. 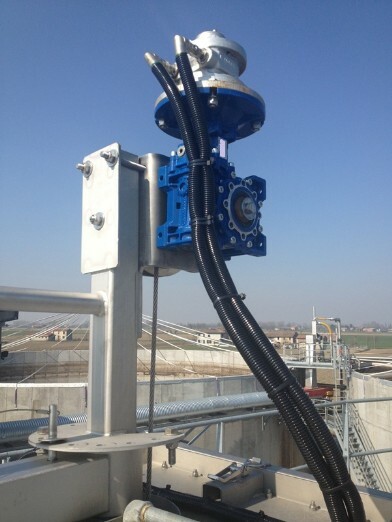 Pneumatically operated winch, equipped with a protection system that ensures that excessive force is not applied to the cable, avoiding any tearing. 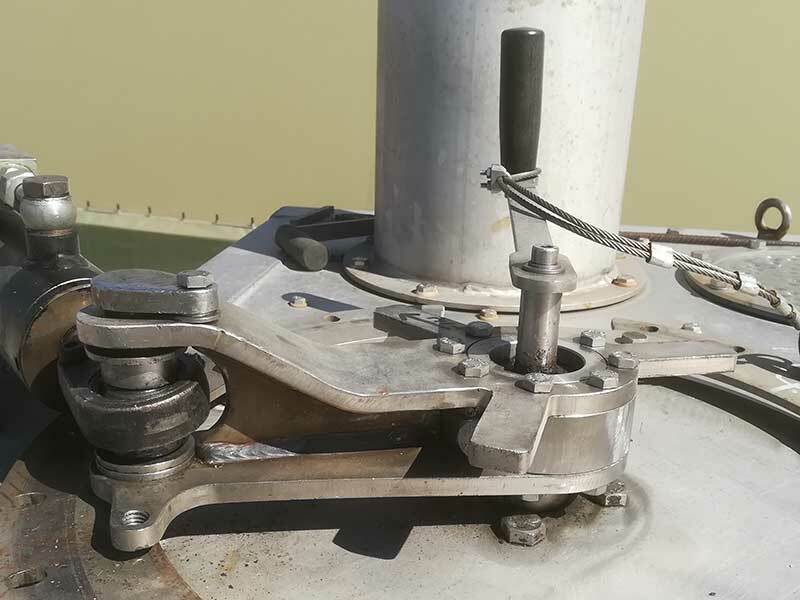 Complete with a lever control system that allows the cable to be unwound or rewound around a smooth steel drum with provision for rope attachment. 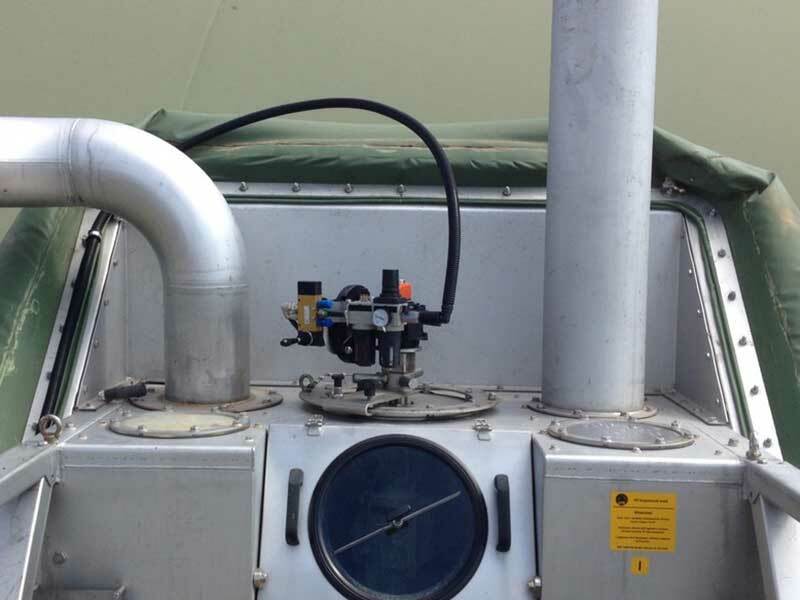 The winch can be supplied complete with rev counter and, on request, with ATEX certification (in compliance with the requirements of directive 94/9/ce). 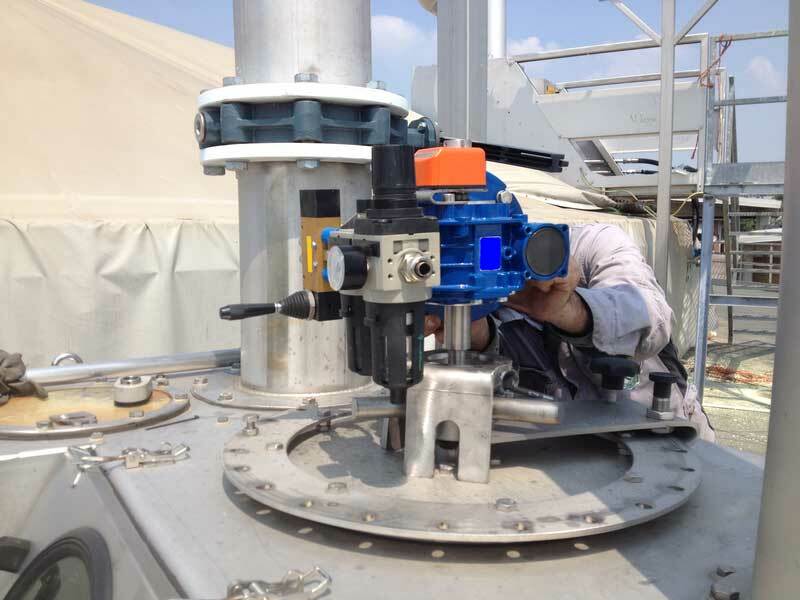 In this case, the actuator is mounted directly on the shaft, which transmits the force to your winch. 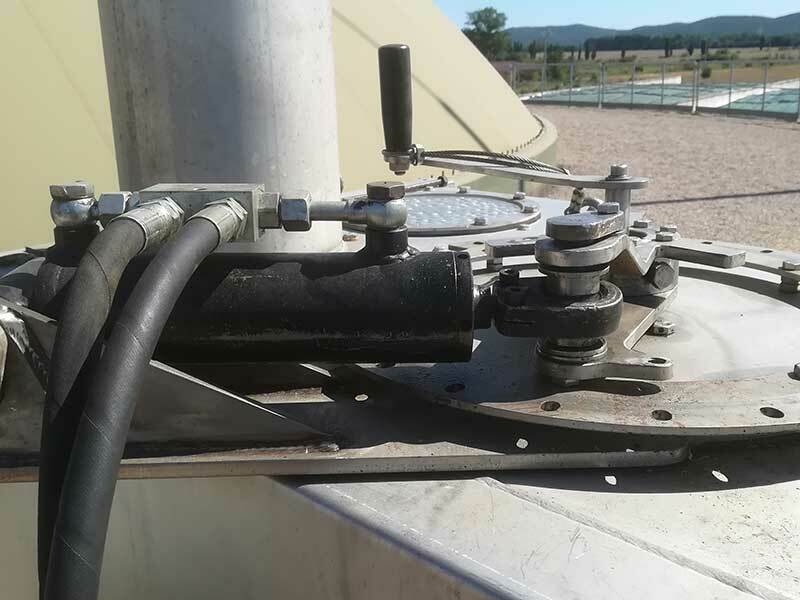 This actuator is also equipped with a system that ensures that excessive force is not applied to the support cable of the mixer, avoiding tears that would cause the mixer to fall on the bottom of the tank. 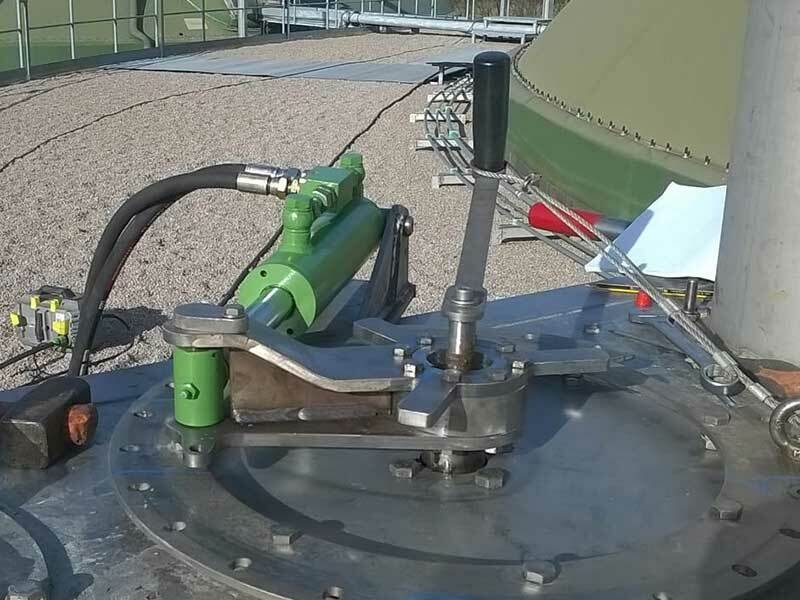 The pneumatic actuator can also be supplied with rev counter and, on request, with ATEX certification (in compliance with the requirements of the directive 94/9/ce). This new component allows handling mixers in a more automatic way. 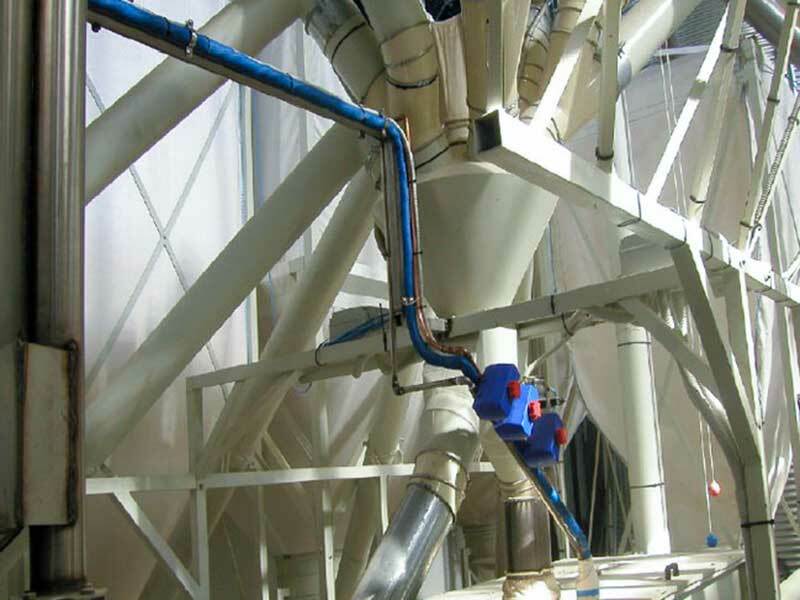 The system allows you to rotate the guide pole on which the mixer is mounted, clockwise and counterclockwise alternating, thus allowing you to significantly expand the area affected by the thrust of the mixer. 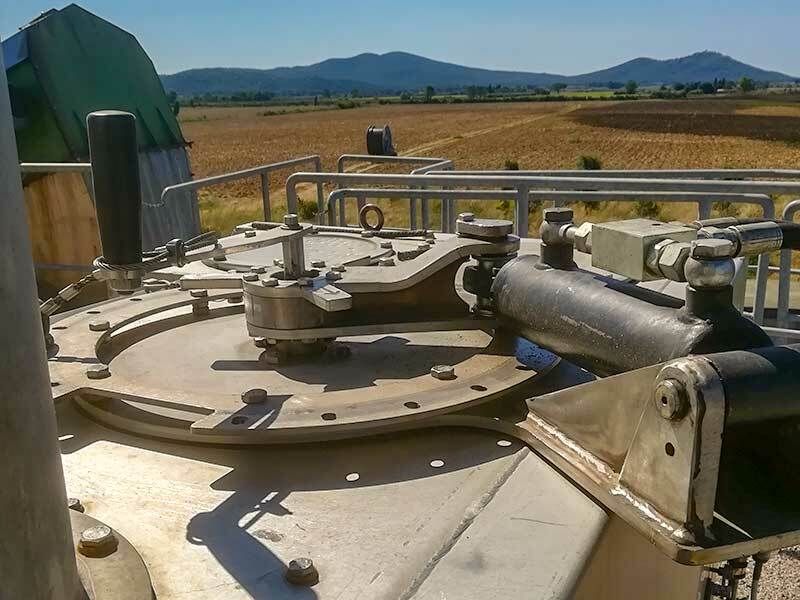 Indispensable in the external tanks of the concentric digesters, it is also very useful for the management of the mixers installed in the simple circular storage or purification tanks. The customer can decide how many degrees to rotate the mixer, activate the system and let it work, no longer having to manually adjust the position of the mixer. 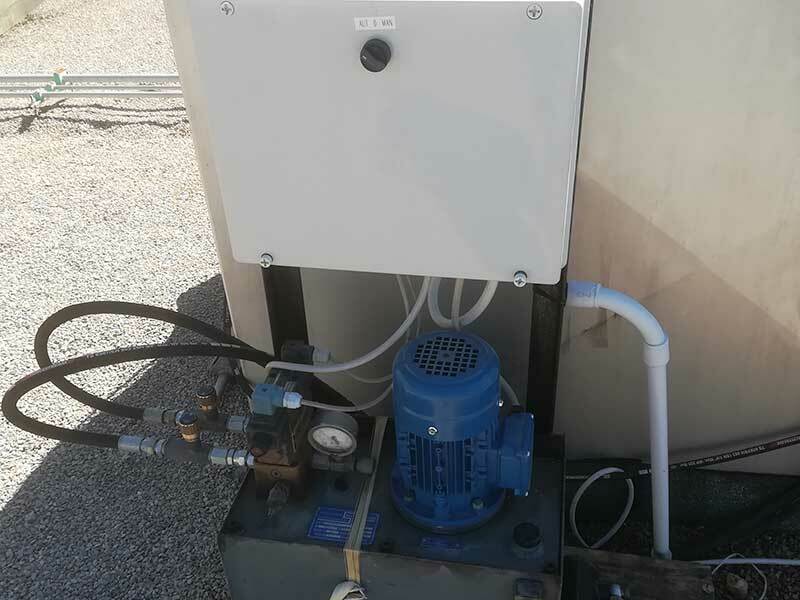 The operation is similar to that of a home fan, but obviously the mechanism that allows obtaining that result is a robust hydraulic system, complete with control unit and rotation control system. 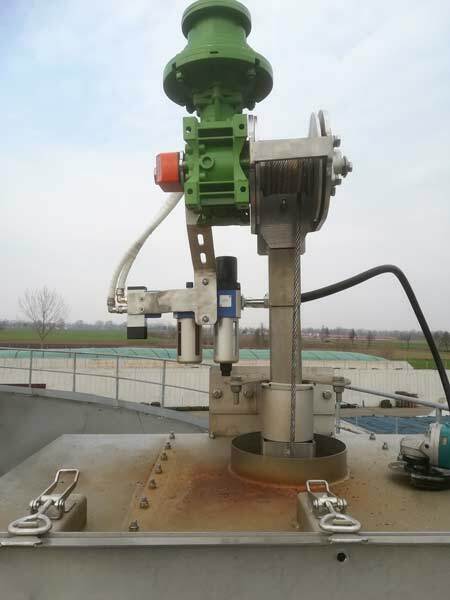 By combining it with the pneumatic winch or the pneumatic actuator for winches, it makes the handling of your mixers completely automatic. 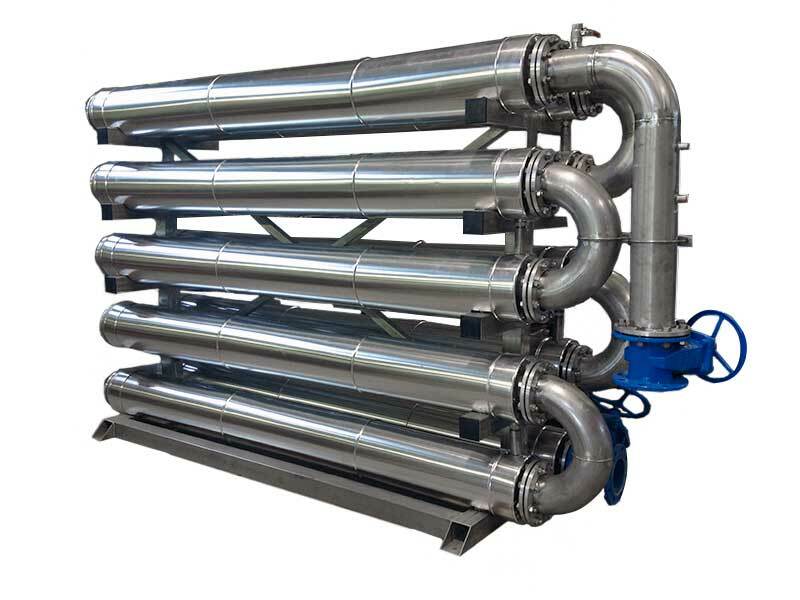 Heat exchanger consists of two concentric tubes, in which two fluids pass at different temperatures. The inner tubes are made of materials with high thermal conductivity, which allows the highest possible exchange of heat between the two fluids; the outer tubes are equipped with insulation to have less heat loss.